By using the DES-1252 switch you will be able to create a cost effective managed solution that can be expanded when needed. This enables you to deploy an entry-level managed solution with a minimum amount of investment. The DES-1252 switch is a high-performance managed Layer 2 switch that provides an ideal solution for workgroups and departments. This switch present a great entry-level managed solution for the SMB just starting out or the already established business looking to bring a managed solution to the desktops. 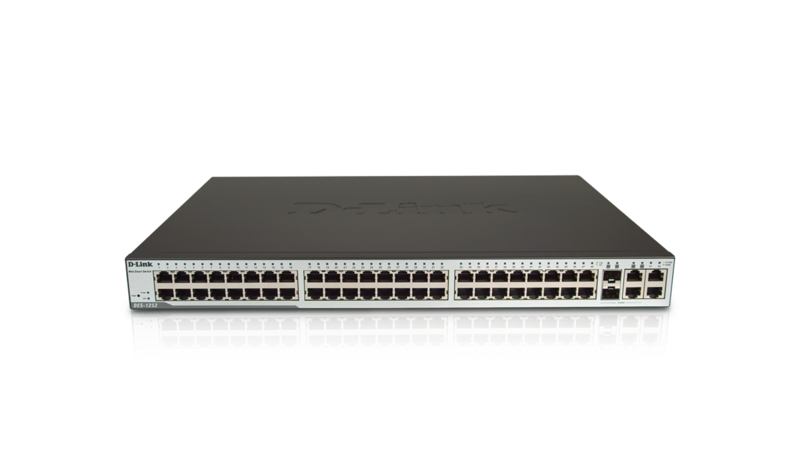 This switch provides 4 Gigabit uplinks for connection to a Gigabit backbone or servers. With powerful switch fabric and abundant processing memory, the DES-1252 provides wire-speed high performance for departments and workgroups. This switch includes support functions such as IGMP snooping, QoS, 802.1Q VLAN, port mirroring, Spanning Tree, port trunks to enhance performance and network resiliency. They also support 802.1p Priority Queues, enabling users to run bandwidth-sensitive applications such as streaming multimedia and VoIP on the network. These functions allow the switches to work seamlessly with managed VLAN and 802.1p traffic on the network. The switches provide MAC address filters screen access to the network. They support 802.1x port-based authentication, allowing the network to be configured with external RADIUS servers. Additional features like D-Link Safeguard Engine protect the switches against traffic flooding caused by virus/worm outbreaks. With full color graphic pictures, diagrams, and easy to understand navigation menus, the switches' Web based SmartConsole Utility is as easy to use as surfing the net. It includes useful features like auto-discovery for automatic display of all DES-1228 and DES-1252 switches running on the network, Monitor List for status and trap messages and Trap View for system events, device boot up, abnormal data transfer errors and illegal login. With built-in SNMP-based MIBs, the switches can also be integrated in an SNMP-based network and polled to provide valuable information about the status of the unit and send traps on abnormal events.